To integrate the AdColony SDK with Cocoapods, enter the following line in your podfile and you’re good to go! Important! 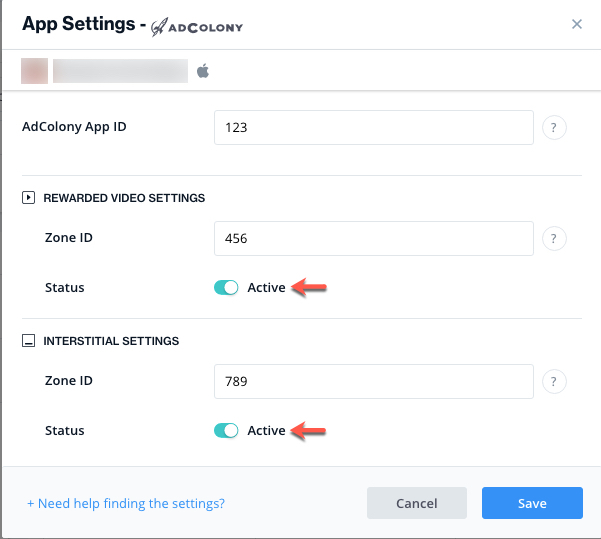 The AdColony Adapter also contains the AdColony SDK. You DON’T need to add the SDK directly. After you download the Adapter, drop the Adapter framework into your Xcode Project, i.e. drop ISAdColonyAdapter.framework into your Xcode project. Open Target ➣ Build Settings ➣ Architectures and confirm that your Xcode Project uses Base SDK version 7.0 or greater and that it does not use armv6 architecture. AdColony are using NSCalendarsUsageDescription key, and should hold a corresponding purpose key in your Info.plist, as described by Apple here. Read more about these configurations here.